Third Step: The bank informs the client (ultimate buyer) of its approval of the agreement to purchase. The bank may pay for the goods immediately or in accordance with the agreement. The seller expresses its approval to the sale and sends the invoice(s). date in lump sum or in Installments as per the agreement. Definition of Sale contract: This is a contract between a buyer and a seller under which the ownerships of certain goods or asset is transferred by the seller to the buyer against agreed upon price paid by the buyer. In the case of Hire Purchase under Shirkatul Melk, the lessor bank sells or transfers its title to the asset under a sale contract on payment of sale price. The Istisna’a sale is a contract in which the price is paid in advance at the time of the contract and the object of sale is manufactured and delivered later. It is a contract with a manufacturer to make something and it is a contract on a commodity on liability with the provision of work. IBBL can utilize Istisna’a in two ways. In fact, the bank since its inception has been working for the uplifter and emancipation of the unprivileged, downtrodden, and neglected section of the people and has taken up various schemes for their well being. The objectives of these schemes are to raise the standard of living of low-income group, development of human resources, and creation of awareness for self employment. Graduate & Post-Graduate Students of Universities, MedicalColleges, EngineeringColleges, UniversityColleges for purchase of PC, Medical/Engineering Equipment/Machinery, Books etc. In case of students the minimum age must be 18 years and maximum 25 years. The monthly installment shall be payable by the first week of every month. The first instalment shall be due for payment in the first week of the subsequent month of the disbursement/delivery of goods/articles. b)In case of purchase of apartment/flat/ready-made house: maximum 50% of the value including purchase related cost. Maximum ceiling of the Bank’s investment will be Tk. 20.00 lac. q If any client intends to provide the following securities to the Bank duly discharged/ completing necessary formalities by him, Bank may allow further or additional investment in excess of the aforesaid ceiling to the extent of 100% of the value of the securities: TDR & Mudaraba Savings Bond of Islami Bank Bangladesh Limited, TDR/Fixed Deposit of any scheduled Bank, Wage Earners Bond, ICB Unit Certificates, National/Defence Savings Bonds/ Sanchaypatra etc., Bank Guarantee from any scheduled Bank. In case of purchase of apartment/flat/built house, the client shall have to deposit the equity money in the Branch or produce documentary evidence in support of his investment upto the satisfaction of the concerned Branch. > Experienced Person/Firm engaged or interested in transport business (Rent-a-car). Preference will be given to those person and firms who are already engaged in transport business. > Persons/Businessmen/Firms who have already proved themselves successful in the transport business and those efficient and potential persons/businessmen/firms who are interested to take small transport as business, may apply for investment to purchase auto-rickshaw, tempo and pick-up van. > Established Clinics and Hospitals. > Experienced and successful Persons and Businessmen engaged in water transport business. Investment clients must be permanent residents of the command area of the branch through which they intend to avail investment facilities and they must have valid trade license and shops or selling centres. For meeting the cost of repair of the implements supplied if there is any damage of the implements due to accidents during operations. e. To provide educational services and safe drinking water, sanitation & medicare facilities to the down trodden people. c. Persons engaged in off-farm activities having no land or land up-to-maximum 0.50 acres. e. Persons having derelict pond will be eligible for investment for re-excavation and fish cultivation. f. Destitute women and distressed people will be provided investment for milch cows/poultry birds/ducks/goats etc. and other suitable off-farm activities for raising their supplementary income. g. Persons having liabilities with other banks/institutions including defaulters will not be eligible for investment under the Scheme. b. In case of agricultural/crop production, instalments should be fixed on quarterly basis or on the basis of harvesting period of the crop in each of the investment area. A token instalment may be realised on weekly basis. * The members of the Group have to open Mudaraba Savings Account (RDS) in their individual names with the Branch from the very inception of the Group activity. * This Mudaraba Savings Account is non-chequing which induces the clients to make a habit of compulsory savings. * This savings may, however, be withdrawn by the member if he does not have any other liability with the Branch in any way. The Branch receives investment applications and accord approval in the following manner as soon as the Investment Committee of the Branch is satisfied that the Group members conform to the principles of Group activities and it is ensured that such Group activities are carried out without any hindrances in future. Different sectors including food and agriculture based industries, plastic & rubber industries, forestry and furniture industries, engineering industries, leather industries, chemical industries, textile industries, recycling industries, service industries, electrical accessories industries, computer technology industries, paper products industries, handicrafts industries, fishery & live stock farming, hollow bricks, roof tiles and any other viable micro-industries have been identified for financing under the Scheme. Bai muajjal back to back ( BB) bills. 7.1 Agricultural Implement investment scheme. a. Hire Purchase :In monthly/fortnightly/weekly instalment basis. Adhme Uddin J. & Hossain Khairul M. (1993), A Comparative Analysis of Mobilization of Funds by Public and Private Commercial Banks,(Vol.3, No.1, July, page 26-38). Islam Muzadihul M. (1991), A Critique of Murabaha Mode of Financing by Islamic Banks, The Journal of Islamic Studies, (Vol.1, No.2, Dec, page 90-98)..
Islami Bank Bangladesh Limited (IBBL), “Manual for Investment under Bai-Murabaha Mode”, (Page no. 1-8, 34-50). Islami Bank Bangladesh Limited (IBBL), “Manual for Investment under Bai-Muajjal Mode”, (Page no. 1-7, 36-45). 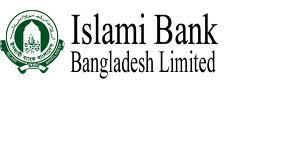 Islami Bank Bangladesh Limited (IBBL), “Manual for Investment under Bai-Salam Mode”, (Page no. 1-10, 26-42). Islami Bank Bangladesh Limited (IBBL), “Manual for Investment under HPSM”, (Page no. 1-3, 4-8).